Download clinician tools to help you screen patients for substance use and deliver a brief intervention. 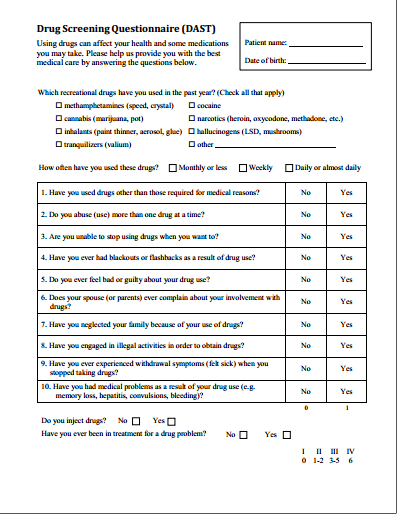 The pre-screening form should be administered to all adult patients. 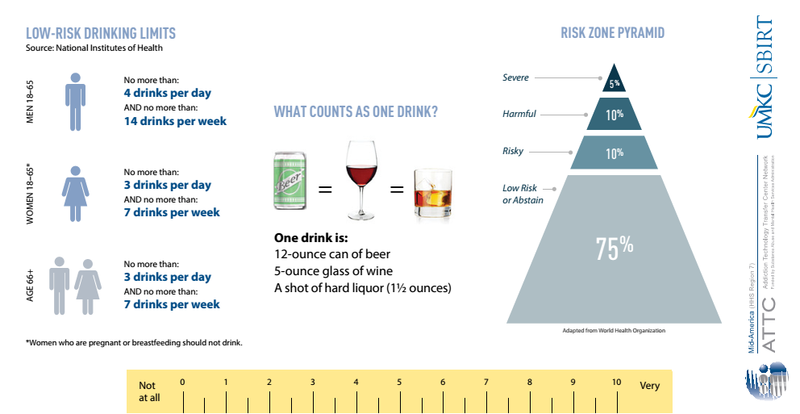 It rules out patients who are at low or no-risk using one pre-screening question for alcohol and one pre-screening question for drugs. 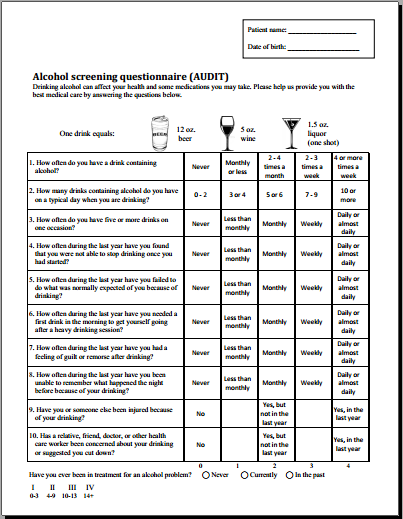 The Alcohol Use Disorders Identification Test (AUDIT) should be administered to adult patients who screen positive on the pre-screening for alcohol use. Side one contains the screening questions and side two contains instructions on scoring and interpreting the AUDIT. The Drug Abuse Screening Test (DAST) should be administered to adult patients who screen positive on the pre-screening for drug use. Side one contains the screening questions and side two contains instructions on scoring and interpreting the DAST. 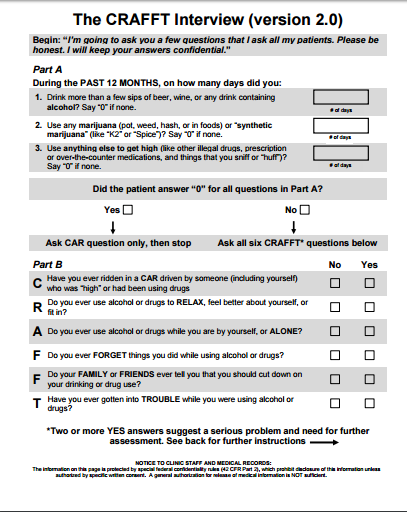 The CRAFFT is a screening tool for alcohol and drug use that is intended for patients under the age of 21. 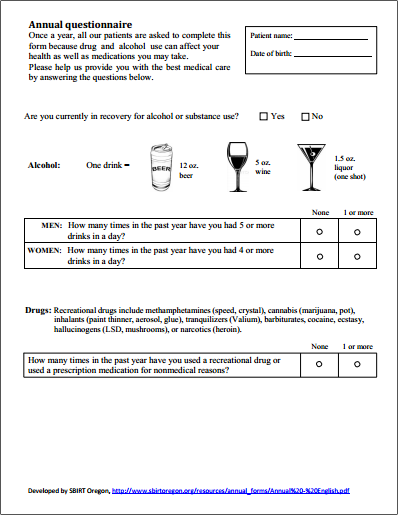 This screening tool is intended for use with patients ages 9 to 18 and screens only for alcohol use. The Brief Screener for Alcohol, Tobacco, and other Drugs (BSTAD) tool consists of frequency of use questions to identify risky substance use by adolescent patients ages 12-17. The accompanying resources assist clinicians in providing patient feedback and resources for follow-up. The Screening to Brief Intervention (S2BI) tool consists of frequency of use questions to categorize substance use by adolescent patients ages 12-17 into different risk categories. The accompanying resources assist clinicians in providing patient feedback and resources for follow-up. This pocket-sized SBIRT provider card is designed to fit in a lab coat pocket. 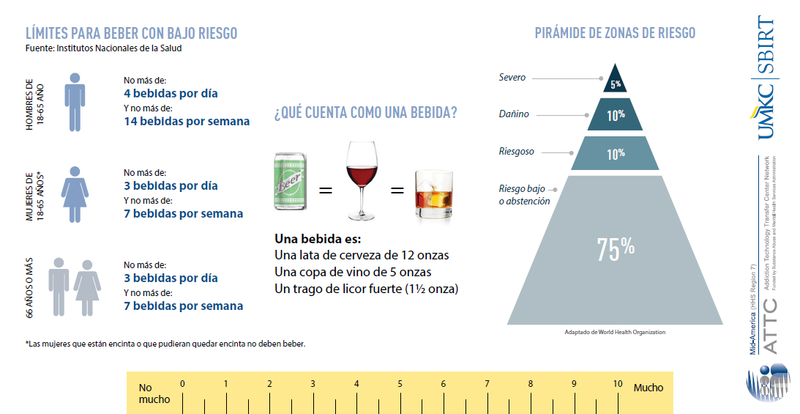 Side one lists low-risk drinking limits, information on drink sizes, the risk zone pyramid, and a motivational interviewing ruler to assess the patient's readiness to change and confidence to achieve his or her goal. 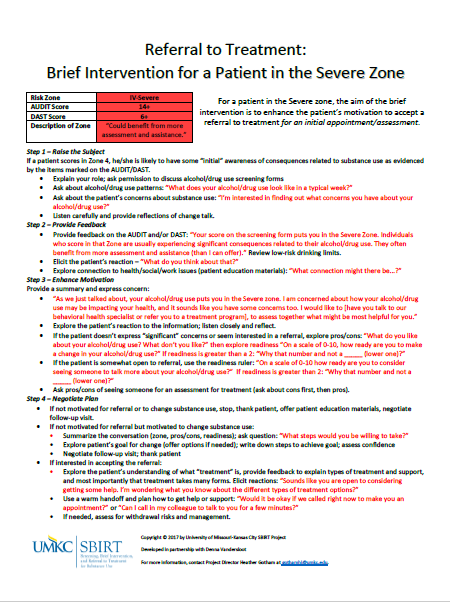 Side two provides information on placing patients into risk zones based on AUDIT/DAST scores, as well as how to describe risk zones to patients. It also lists the steps of the brief intervention and scripting to guide the clinician through the process and provides contact information for SAMHSA's Treatment Provider Locator. This card is a Spanish version of the SBIRT Provider Card described above. This document provides helpful tips and example language to use when conducting a referral to treatment. This tool is helpful during step 4 of the brief intervention (Negotiate Plan). 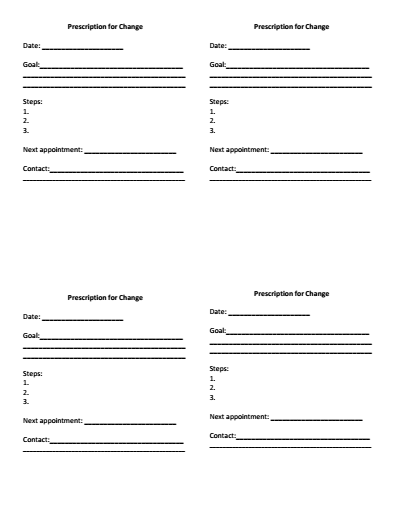 You can use this form to write down the patient's goal and steps to achieve the goal, so he or she can leave the interaction with a "prescription for change."